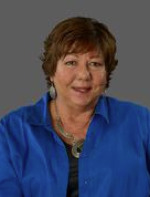 Maureen has been with Wilson & Wilson Estate Planning & Elder Law LLC Law Offices since 2002, presently as a Paralegal working mainly in Estate Planning and Estate Administration. Once our Office Administrator, her knowledge of the workings of the firm is unparalleled and if anyone has a question, she generally knows the answer. She has a background in graphic arts field as a typesetter and proofreader and those skills have been an invaluable asset for much of the legal work and marketing aspects of the firm. 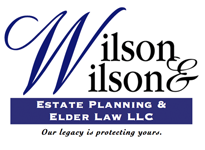 “As one of the ‘more seasoned’ employees of Wilson & Wilson Estate Planning & Elder Law LLC, I have personally been through many of the issues facing our clients. I hope to bring understanding and compassion to each client with whom I interact, while guiding them through some challenging procedures,” states Maureen. Maureen is a Notary Public and a former member of the Chicago Chapter and National Association of Legal Administrators (ALA) and continues to hone her skills with numerous continuing education courses in the Paralegal field. She enjoys socializing with friends and family, going to the movies and has an uncanny ability to memorize Illinois zip codes.